Happy New Year! 2016 is going to be a great year full of budget friendly meal plans and delicious kid approved recipes. Like I mentioned yesterday, tradition says that black eyed peas are good luck when eaten on the first day of the New Year. 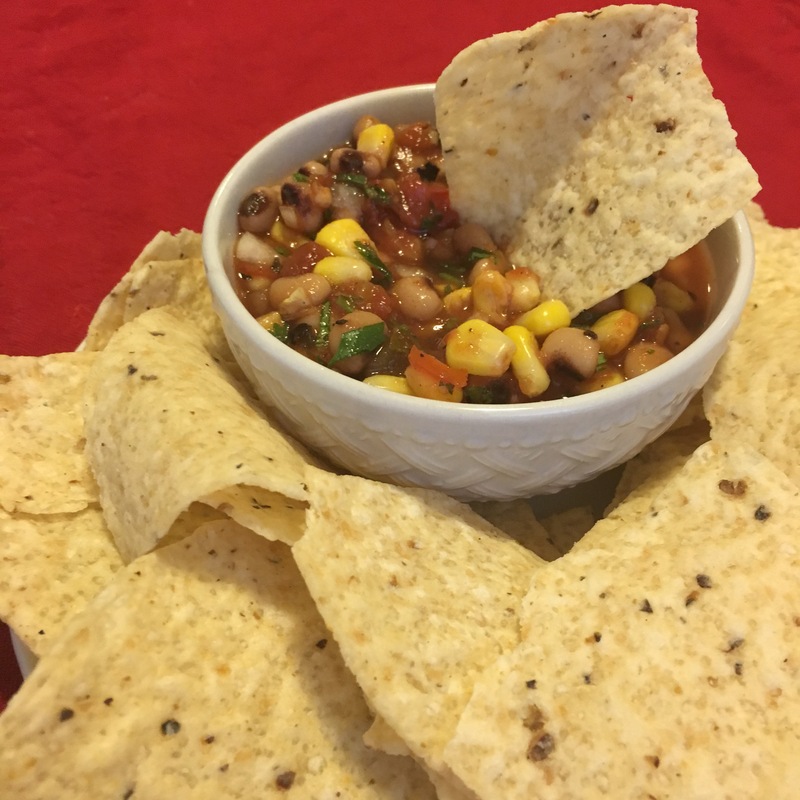 This super easy Black Eyed Pea and Corn Salsa is the perfect way to ring in the new year while watching all the Bowl Games. Game day food is always a hit around here, so when I planned what we were going to eat on New Years Day, I took watching football into consideration. 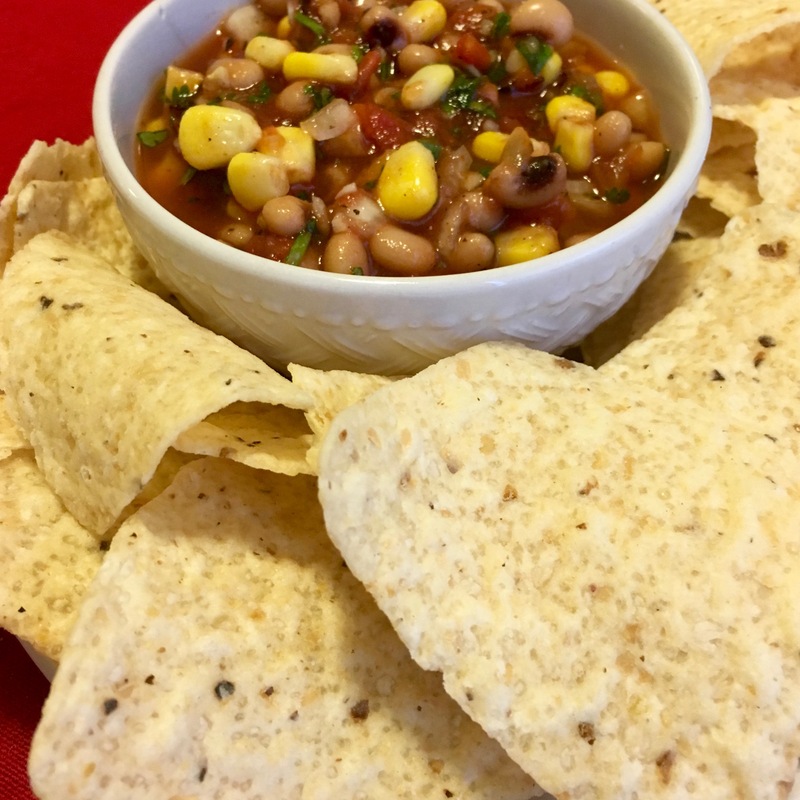 Black Eyed Pea and Corn Salsa is perfect because it serves dual purpose, a game day snack and black eyed peas for prosperity. 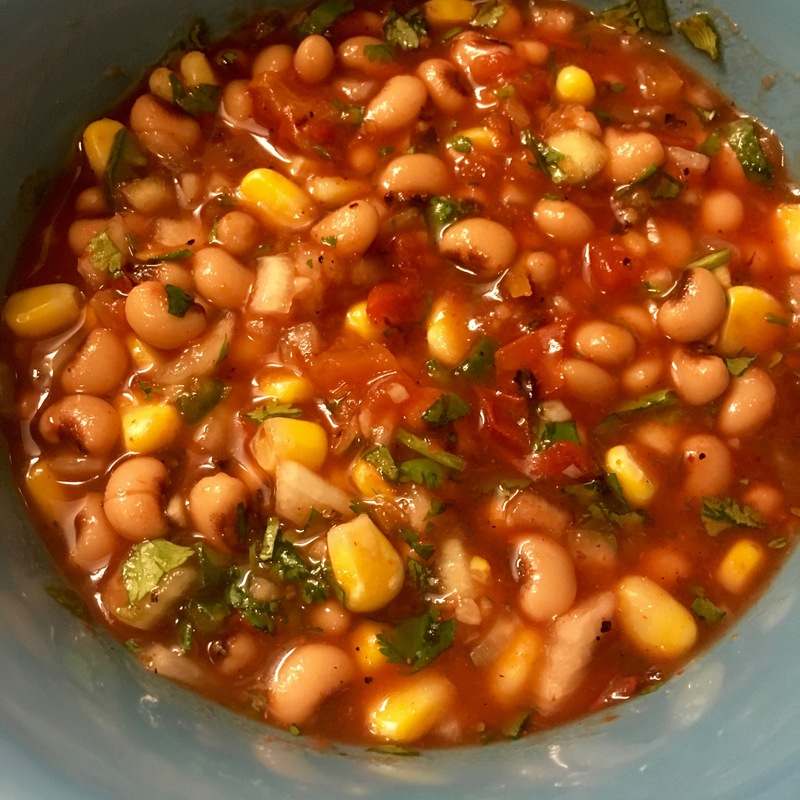 You don’t only have to use black eyed peas to make this salsa, you can use black beans too. 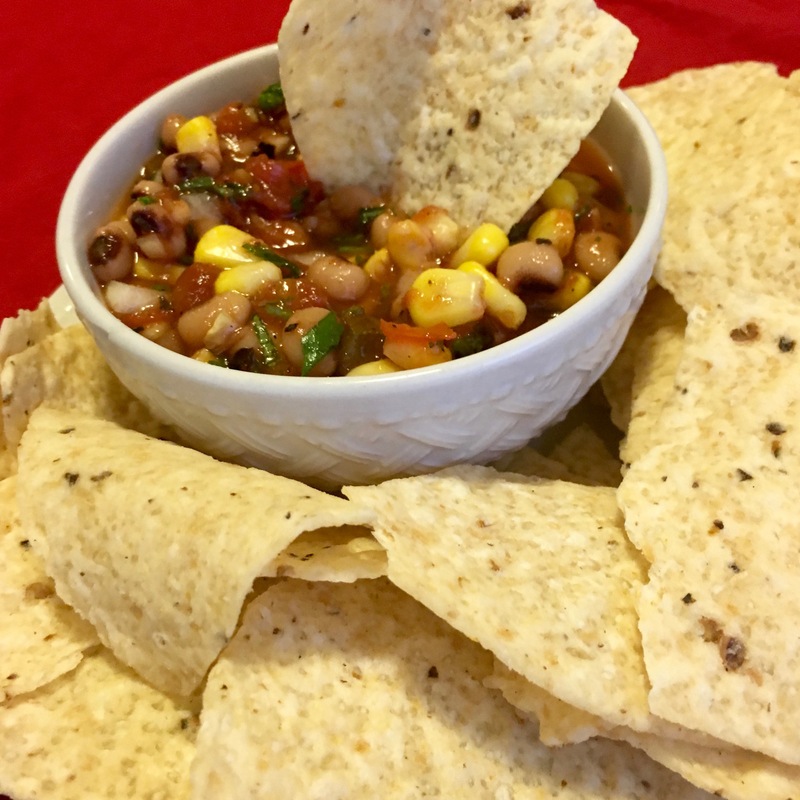 Black beans and corn are a classic combination like in these black bean and corn quesadillas. But back to the point. 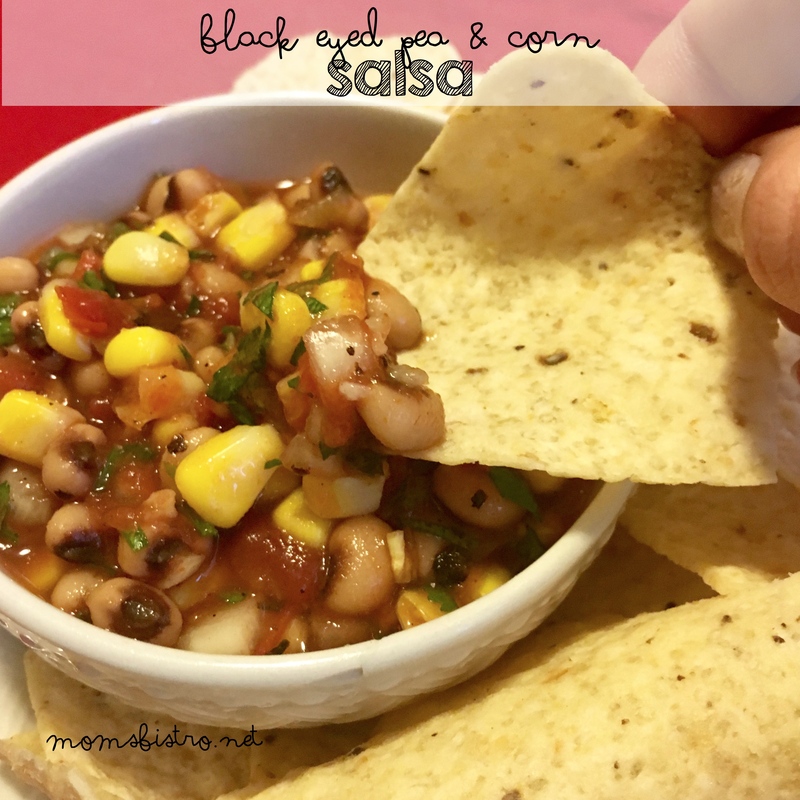 Black Eyed Pea and Corn Salsa. Cover with plastic wrap and refrigerate for at least 30 minutes before serving. Want more fortune in the New Year? Try this Pasta Fagoli.